Highly customisable to fit any load handling challenge. The Combi-MG is highly adaptable to your needs and can be built to dimensions specifically to suit your application. It can be fitted with a very wide range of lifting accessories to suit any application or industry. The Combi-MG can be equipped with a rotating C-hook for handling coils, which can be operated to roll in both directions and in manual and automatic operation. With capacities ranging from 8o tonne, it’s a safe choice to go with the Combi-MG. HIGHLY CUSTOMISABLE TO FIT ANY LOAD HANDLING CHALLENGE. The Combi- MG can be operated in tandem mode enabling the moving of extremely long loads such as wind turbine blades or aerospace components with high levels of control and in the safest manner available. 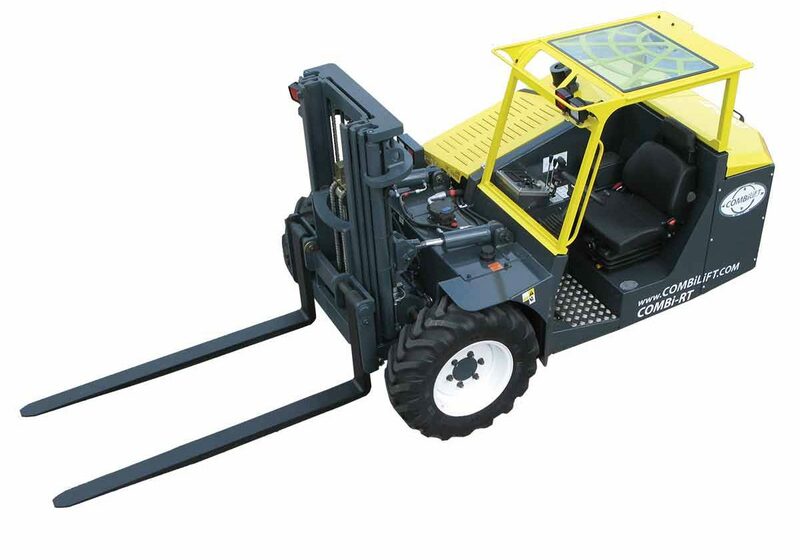 The, six mode, multi-directional steering allows precise and safe transport of materials. The 6 steering options making it a highly flexible and effective method of conveyance. It can operate in narrow aisles, of just 1.5 m, allowing for increased storage and its ability to handle out of gauge loads including concrete castings, beams and culverts more with greater speed and safety mean considerable savings can be achieved. The combi-MG mobile gantry has a telescopic function allows loads to be raised and placed up onto trailers etc. and gives it the ability to reduce its height to enter low doorways. When moving loads of extreme size, being able to position them accurately and safely is critical for avoiding damage or injury. The Combi-MG is equipped with full side-shift to both left and right and the independent lift enables precise placement of the load. The remote control provides the operator with the ability to precisely control the gantry from a safe and advantageous viewpoint.